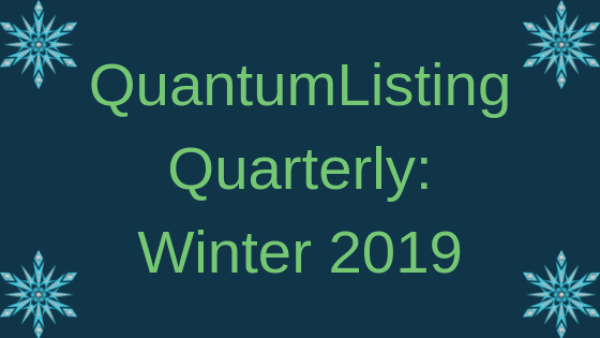 QuantumListing’s 2019 is off to a great start. 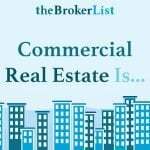 Learn about all the biggest 2019 developments here. The year 2019 is off to a great start. Hundreds of new members have registered, and thousands of new listings have been added. There is a positive network effect from each new member and listing, whereby everyone benefits from the increased usage and concomitant information. Combined with our continuing work on speed and search engine optimization, site traffic is growing each month. 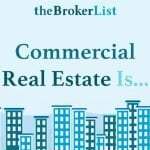 We keep improving the site so that it is as useful to the commercial real estate community as possible. Our blog posts, webinars, Haves and Wants 2.0 marketing sessions and QuantumListing Academy, one on one demos, and series of events at ICSC RECon are all ways for us to interact with each other, learn from each other and get to know each other. We want to keep you informed of what we have been up to in the first quarter of this year and give you a hint of things to come. A digital business serves real live human beings that often find it productive and enjoyable to interact with other humans. We’re all about using technology to facilitate the flow of information between people. We know that not everyone has the same communication style, and we want to offer you different types of opportunities so you can find the one that best suits you as we get to know each other. Read about how QuantumListing works with you so you can find the style that works for you. We started QuantumListing Academy this year to bring you short actionable tips on how to get the most from QuantumListing. Each day for twelve days, you’ll get an email linking to that day’s lesson. You will be able to complete each lesson in 5 minutes or less. When you finish your series of short daily lessons, you’ll be an expert on how to use our site. Click HERE to register for the Academy. 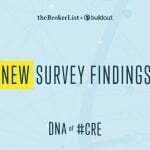 Did you know #CRE has DNA? 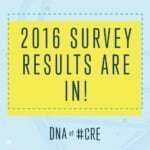 We are big fans of the DNA of #CRE survey. 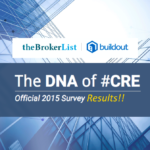 It is a terrific opportunity to benchmark yourself against your CRE peers. 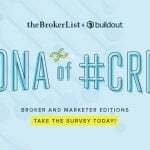 We spoke with Linda Day Harrison of theBrokerList and Ewa Baska of Buildout to learn more about this year’s survey and how it has evolved over the years. The survey results were just released, and we looked at the state of the industry’s relationship with technology in a recent blog post. We think collaborations are smart because they provide users with a suite of additional services. You can add best-in-class technology to your stack knowing that it will work together seamlessly with QuantumListing. And, you don’t end up paying for the stuff you don’t need. You are in control of choosing what is going to make your business stronger, without being forced into a bundle of products at an exorbitant cost. 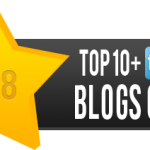 Two of our recent webinars were with two of our syndication partners. The first was with Brendan Hotchkiss, from Leavitt Digital. Read the blog post, The New Paradigm of CRE Tech Cooperation, which summarizes that discussion or watch the webinar. The following week, Andreas Senie from the newly launched CRE Collaborative was our guest. CRECO.ai was launched to help disparate CRE technologies work well with each, so data can get out of its silos and really go to work for professionals. 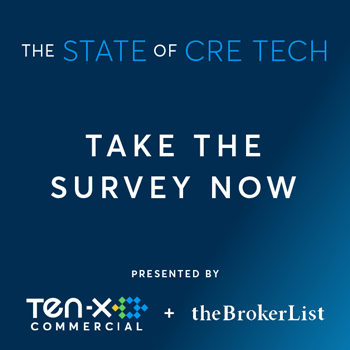 Read the summary of the discussion in our blog post CRE Collaborative: Integrating the CRE Tech Landscape or watch the webinar. Let’s face it, some of us are more comfortable with social media than others. We invited Sarah Malcolm and Amanda Bowen from The Content Funnel to give us a primer on how to effectively deploy social media for commercial real estate. 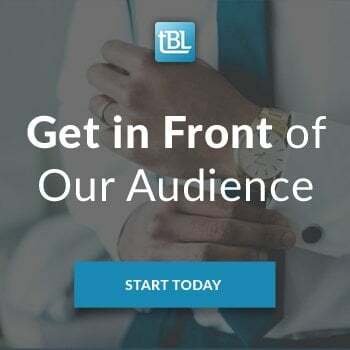 Given the high degree of audience participation in the webinar, this is clearly an area where real estate professionals are interested in upping their game. There was so much good stuff here that we had to break our summary into two separate posts! Make sure you check out Social Media…Is It Really Worth It, Part 1 and Part 2. For the last three decades, we’ve been attending RECon, the International Council of Shopping Centers’ national convention in May. A few years ago, we teamed up with theBrokerList to create #LetsGetSmart, a kick-off meet up for the show. Thanks to an incredible group of hosts and sponsors, that event grows each year. A couple of years ago, we introduced a speaker series, #LetsGetSmart, which is at our booth on Wednesday of RECon. This year, we’re extending the franchise with the introduction of #LetsGetTogether on Monday and Tuesday at RECon. Read about all three and how you can participate in our post, 3 Things You Must Do at ICSC RECon. We have some pretty exciting things planned for QuantumListing over the next few months that will have a really positive impact on our members and visitors. You’ll have some great new ways to take advantage of our growing traffic and to further leverage your QuantumListing profile and listings. Stay tuned!